The Saint Paul Almanac is pleased to announce the second in its 2013–2014 season of acclaimed Lowertown Reading Jams, which celebrate the rich literary history of Minnesota’s capital city and the widely popular genre of spoken word. The “Intersectionality” Lowertown Reading Jam will be presented on Wednesday, November 20, 2013, from 7:30 to 8:30 p.m. at the Black Dog Coffee and Wine Bar, 308 Prince Street in Saint Paul. This presentation of the popular and eclectic series is hosted by Andrea Jenkins, and features emcee Robert Karimi and performances by Andrea Jenkins, JP Arcani, Tracine Asberry, Nimo H. Farah, and a special guest performance by Neo-Soul singer Liz Lassiter. All ages, no cover, donations accepted. Food and beverages for sale. Intersectionality: Cross-Culture, Cross-Issue, Cross-Gender, Cross-Border, and Cross-Genre—Intersectionality seeks to identify areas where we—as humans, activists, lovers, and creators—have similar goals, ideas, and places where we meet. Hear stories of passion and of progress, of struggle and of loss. Meet us on the corner of Equity and Truth-telling! ANDREA JENKINS is an award-winning poet and writer. 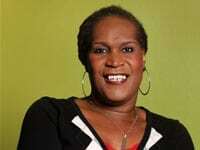 Most recently, she was awarded a Bush Fellowship and a fellowship in the Cultural Community Leadership Institute at Intermedia Arts, was sponsored by the Bush Foundation, and named a fellow in the Many Voices Fellowship at the Playwrights Center. Last year, Andrea won the Verve Grant for Spoken Artist at Intermedia Arts, and the Naked Stages Grant for Emerging Performance Artist at Pillsbury House Theatre. She is a Givens Foundation Fellow working with Amiri Baraka and J. Otis Powell‽ She has won the Loft Mentor Series in 2002 and the Napa Valley Writers Conference scholarship in 2003. Andrea earned her masters of science in community economic development from Southern New Hampshire University in Manchester, New Hampshire. She also earned a bachelor of science in human services/interpersonal communications from Metropolitan State University and an MFA in creative writing from Hamline University. Emcee ROBERT FARID KARIMI is an interdisciplinary playwright/transmedia humorist originally from the San Francisco Bay Area. His interactive performances feed audiences a mixed bowl of humor, pop culture, and personal history across the Americas—in theatres, grocery stores, backyards, and off-Broadway. He is the creator of the critically acclaimed works Self (the Remix), Farid Mercury, and the episodic theatrical cooking experience The Cooking Show con Karimi & Comrades. He has been published and recorded internationally in Callaloo, Latino Literature Today, and Raza Spoken Here 2, and was most recently featured in Total Chaos: The Art and Aesthetics of Hip Hop, edited by Jeff Chang. A National Poetry Slam Champion, Def Poetry Jam poet, and UCLA graduate, Karimi was the first performance artist to be invited to be a resident at the Kohler Factory Visual Arts Residency. JP ARCANI, Organizer and Facilitator, B.QullecTivE—B.QullecTivE stands for Brown Queer and Trans* Empowerment Collective, a community organization for Queer and Trans* identified people of color based in the Twin Cities. TRACINE ASBERRY, Minneapolis School Board Member—While teaching full time for Minneapolis Public Schools (W. Harry Davis Academy, 1998–2007), Tracine earned both a master’s degree in elementary education and a doctorate in critical pedagogy to improve her classroom instruction and family engagement. Over the years since W. Harry Davis Academy closed, she has completed a Bush Leadership Fellowship, established herself as an adjunct/community faculty in college and university teacher education programs, and collaborated with local community organizations. 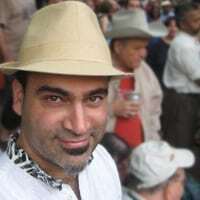 NIMO H. FARAH was a community editor for the award-winning 2012 Saint Paul Almanac and loves the stories written and shared by everyday people. She recently began writing and has had poems and a short story published in the Water~Stone Review literary journal and the Saint Paul Almanac. 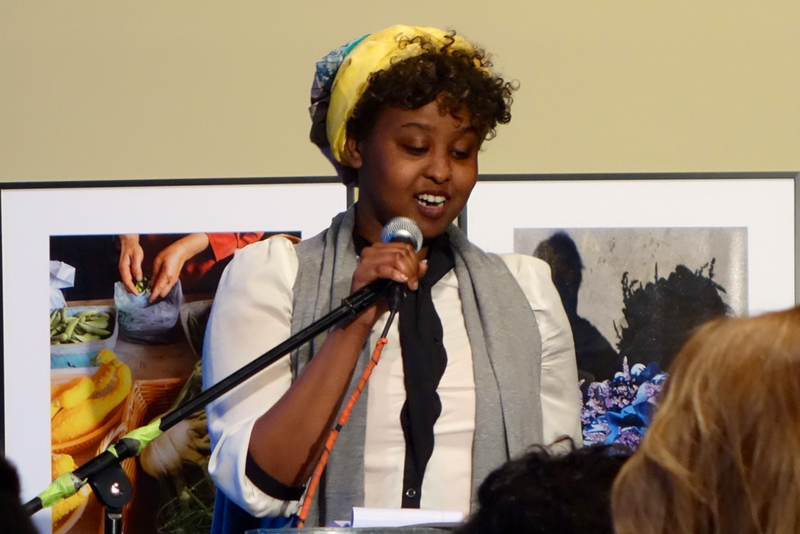 An aspiring storyteller, Farah has shared her words at previous Lowertown Reading Jams, at Equilibrium: Spoken Work at the Loft, and at the Late Nite Series at the Pillsbury House Theater. The “Intersectionality” Lowertown Reading Jam will be presented on Wednesday, November 20th, 2013, from 7:30 p.m. to 8:30 p.m. at the Black Dog Coffee and Wine Bar, 308 Prince Street in Saint Paul.